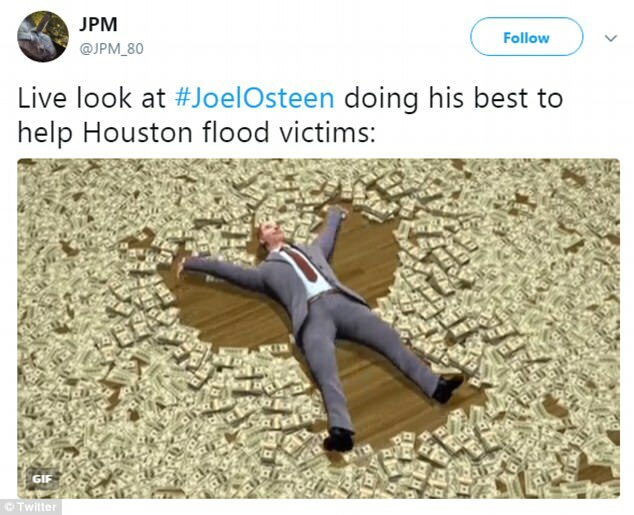 September 1st, 2017 – Joel Osteen has weathered a lot of criticism throughout Hurricane Harvey but few people are labeling him a victim. 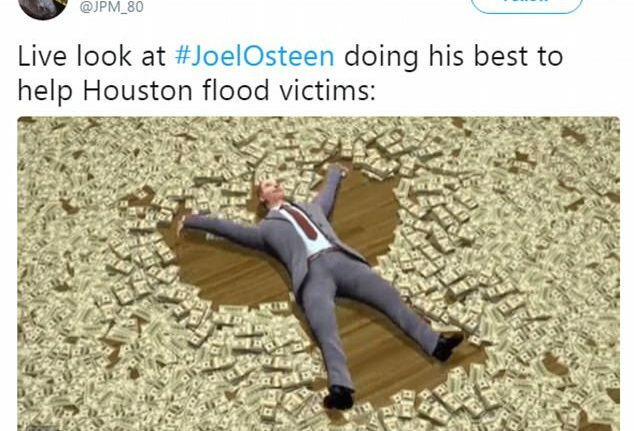 Instead, they’ve taken to the meme streets of Twitter to call out the millionaire televangelist for not opening up his megachurch to those in need. 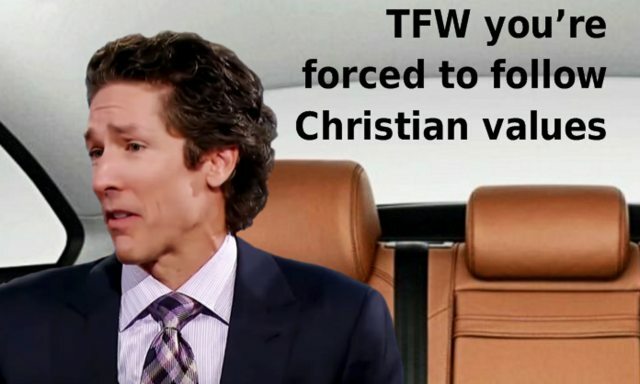 Osteen is the senior pastor at Lakewood Church in Houston, Texas – a 16,000-seat megachurch whose services have assisted in giving the Christian leader a net worth of over $50 million. In the days following the landfall of Harvey, people questioned why the church wasn’t being offered to shelter victims who had to flee their homes. 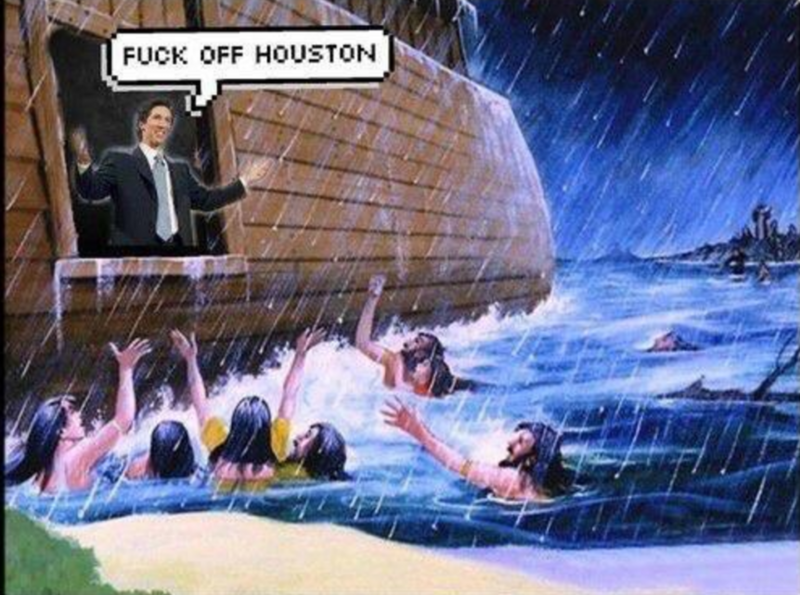 Osteen, at first, avoided the criticisms but then came out with defenses claiming safety issues and the fact that the city of Houston never technically asked the church to become a shelter. 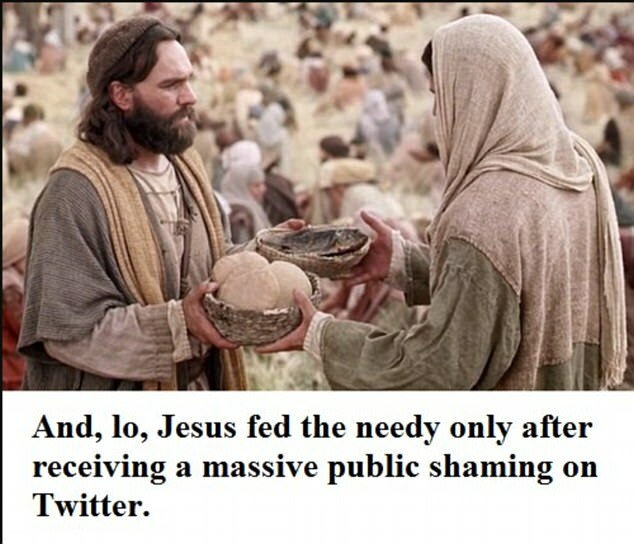 Photos showing the church relatively unaffected and the lengthy public shaming it took to finally have the church used as a shelter left many people angry. The photos of mosques and even furniture stores opening their doors to the needy didn’t do much to soften the hypocrisy either. 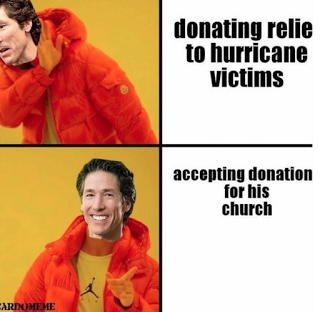 So almost faster than the Cajun Navy came to town, the memes were unleashed to take Osteen both to task and to church.